The Walking Recessionista: 'TIL MY NEXT VISIT, PARIS! 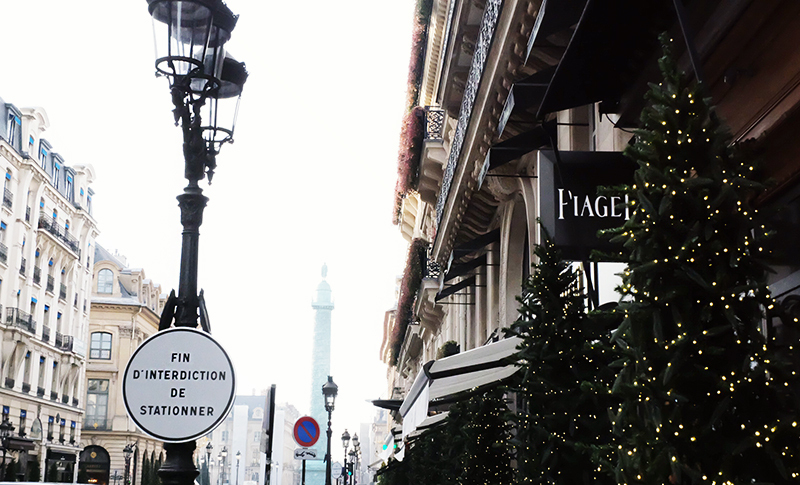 'TIL MY NEXT VISIT, PARIS! Oh Paris, where do I start? You're such a beautiful city full of glow and romance. You have that charm that can make a gloomy winter day feel so bright and vibrant. No wonder why you're referred to by the many as the "City of Love"; you make everything look extra romantic. 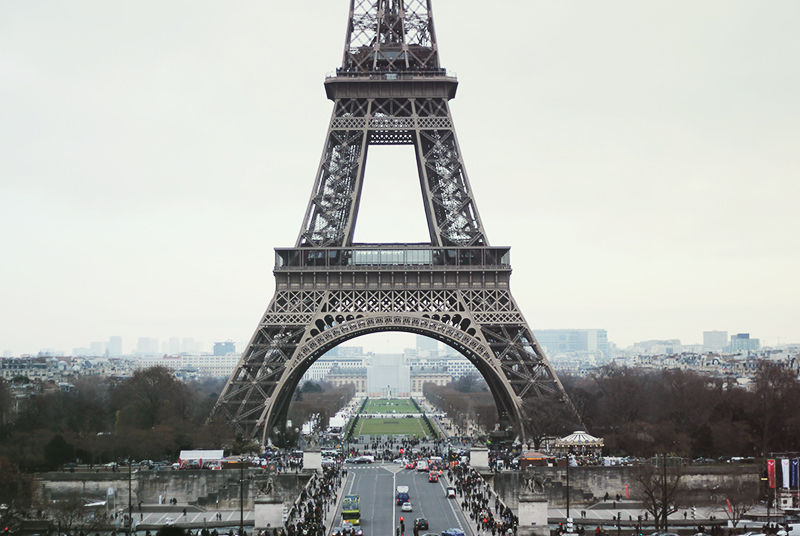 Together with two good friends of mine, I explored Paris on a cold winter day last month. It was actually the first Euro trip I wasn't with Patrick. My friends were supposed to tour me around the city but unfortunately that France trip was cut short after receiving a call from Patrick that he had a football injury (again) that morning and he had to be operated as soon as possible. I was completely in shock, I couldn't believe what was happening! I had to book a flight straight to Berlin that day even if it had only been a few hours since we arrived in Paris. Before that call, I had a complete mental list on what to see and do in the city; see the Eiffel, have a glimpse of the Louvre, stand in front of the Arc de Triomphe... and the list goes on an on! How can such small city be home of some of the world's most beautiful attractions?! Though I only had a few hours until my flight, I was grateful to at least tick off some things on my to-do list. But to be honest, it was difficult to keep a smile on my face. The entire time all I wanted was to be back in Berlin. Despite the rush, I was able to see a bit of the city. 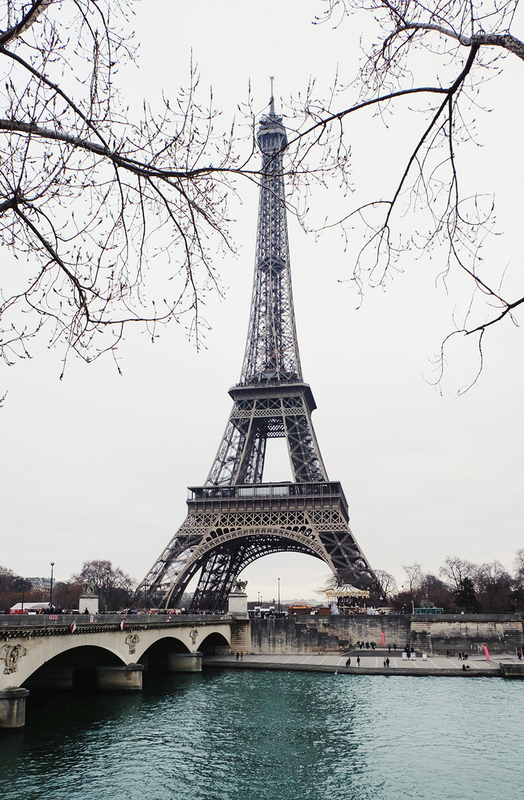 We walked the streets of Champ-Elysees, had crepes for lunch, drank hot wine in the Christmas market and walked from the back to the front of the Eiffel-it was long! 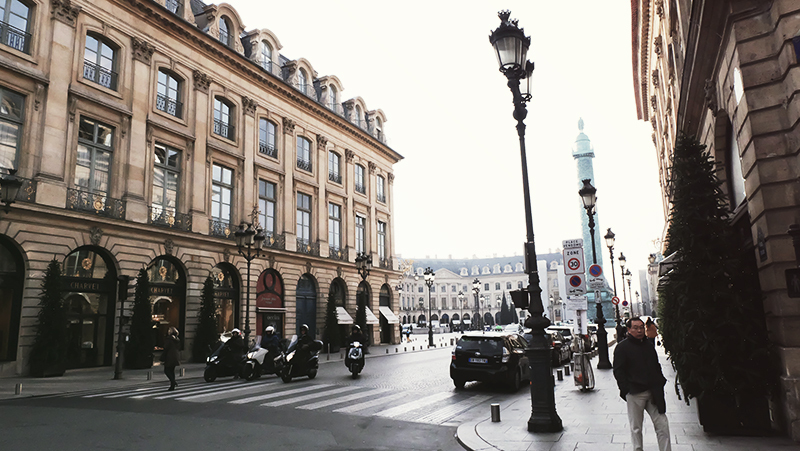 Just like in the novels, Paris is very romantic. It's hard to explain how but the city has that magic in it that makes you feel like you're in a movie. Every angle you turn, you can't help but fall in love! I can only imagine how great it would be to see the city in spring when the flowers start to bloom and everything turns vibrant from being gray. Someday.